A Tea Revolution is brewing. As tea culture rises in Singapore, the trending movement to re-invent the tradition of tea-drinking has expanded a community of independent homegrown tea brands, tea sommeliers and tea drinkers. 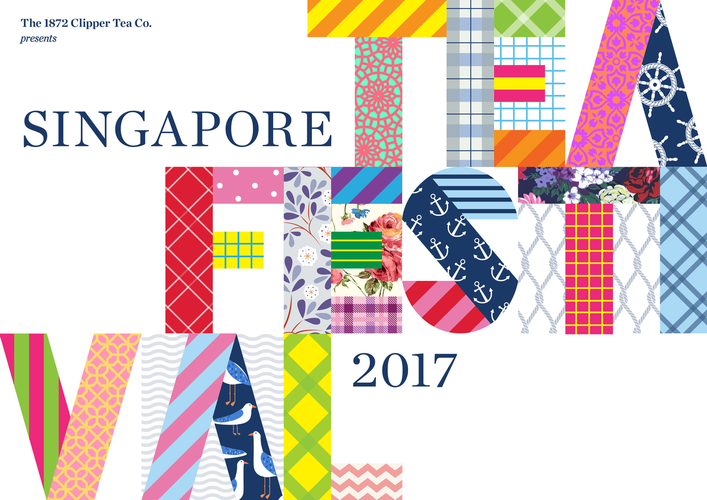 Organised and presented by local heritage tea retailer The 1872 Clipper Tea Co., Singapore Tea Festival 2017 celebrates one of the world’s most popular beverage by bringing together 17 homegrown tea and lifestyle brands and indie cafés. It aims to showcase Singapore’s growing number of local tea brands, unite Singapore’s tea-drinking community, educate the general public about the art of tea-drinking, and inspire non-tea drinkers to discover tea like never before, by providing an interactive experience for tea enthusiasts and tea-curious. - Tea Market – a curated line-up of homegrown tea brands and craft makers including The 1872 Clipper Tea Co., Brew by Amuse Projects, Gryphon, Pin Tea, amongst others. - Tea Room – an educational space dedicated to tea workshops, creative craft sessions and talks on diverse topics such as Singapore’s Tea history, brew science, Tea appreciation and crafts. (Registration is required for all workshops and talks). - Tea Museum – a showcase of the history and heritage of Singapore Tea. - Teapitiam – a pop-up café serving tea to suit every palate as well as tea-inspired snacks and tea bites created by homegrown food stalwarts including Bird Bird by Bjorn Shen, Birds of Paradise, Shermay’s Singapore Find Food, and One Kueh At A Time. Singapore Tea Festival 2017 is organized in conjunction with Singapore Food Festival 2017, in partnership with ION Orchard and Burpple, and supported by Singapore Tourism Board (STB).